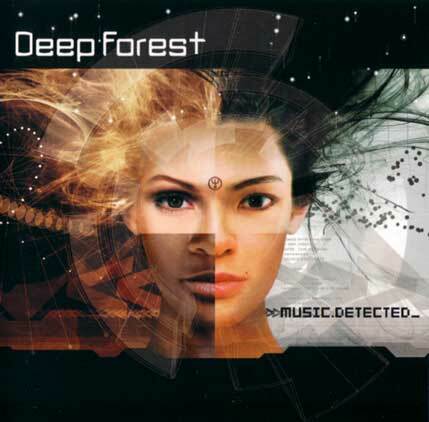 Music Detected is the sixth album by the musical group Deep Forest. The record was released on May 14, 2002 via Saint George label. On this album their trademark samples are nowhere to be heard; the group have worked in live conditions, giving priority to lyrics, David Fall’s solid drum work and raging guitars. While their powerful electro world-beat is still in evidence, it now provides a driving force for genuine songs. There is still plenty of experimentation, especially on “Elemental”, where the Southern accent of blueswoman Beverly Jo Scott blends admirably with the lyrical flights of a Turkish singer. Another example of cross-fertilisation is provided by “Will You Be Ready”, where the voice of Angela McCluskey (the Wild Colonials singer and Telepopmusik diva) merges with the delicate tones of Chitose Hajime’s Okinawa (an island south of Japan shores).